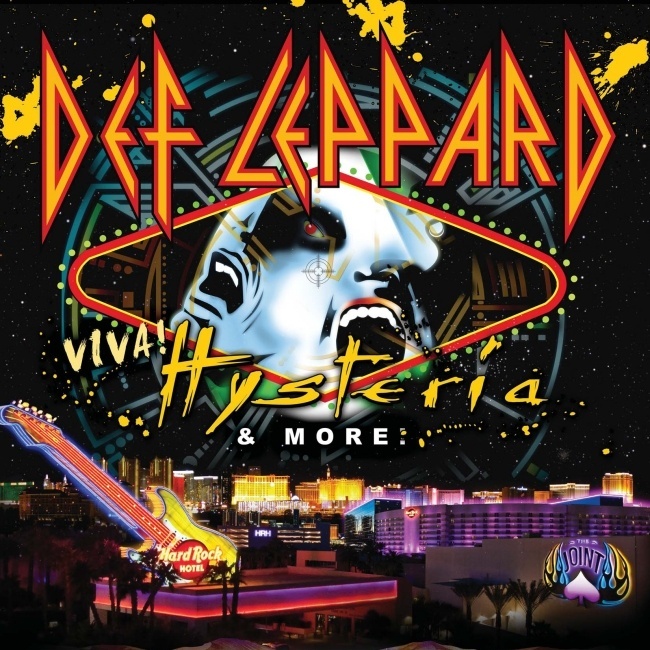 Def Leppard played the 11th and final show of the VIVA! Hysteria residency in Las Vegas, NV on 13th April 2013 and a fan review was sent in by Curt. The show took place at The Joint At Hard Rock Hotel.
" Of course, there were crazies down front too. In fact, one of them made her way on stage during "Hysteria." Joe backed away and went to hide in the corner while the invader made her way all the way up to the drum riser before security FINALLY caught on and went to get her. Took three security guards and Malvin to get her off the stage." "I was hoping for an extra encore after "Rock Of Ages" and "Photograph," perhaps even a big team up jam between the lads from Ded Flatbird and Def Leppard, but sadly, it was not to be." "The band extended their gratitude and said this was one of the coolest things they've ever done, and I think the fans, especially die hards, whole heartedly agree." "Through four shows, I managed to see a respectable 34 different songs out of a possible 37, not including the Acoustic Medley or segment of "Won't Get Fooled Again." Eight of those 34 songs I got to see for the very first time, and probably would have never seen if it weren't for this residency."